Do you wish you could spend an even longer evening shopping in Lyons before enjoying a delicious dinner and great live music? Now you can! 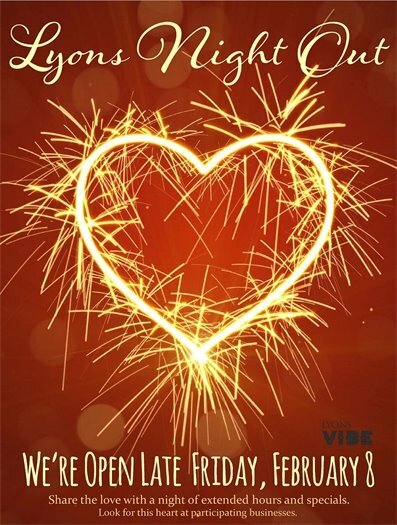 Our businesses are extending their hours for a special night out on Friday, February 8. Show them some love for keeping the lights on to welcome you! Treat yourself, and/or your valentine, to unique gifts, classes, and tasty treats available right here in Lyons. Each participating business will stay open until at least 8:00 p.m. and offer their own special discounts! Make your February shopping plans around this fun opportunity to connect in our community and share the love with our local businesses. This town has something for everyone! Bundle up and get ready to RUN and/or RIDE Colorado’s best mixed terrain. Riders – choose 50km or 100km of dirt, snow, sweat, and beer rolling through the world-famous cycling mecca of Boulder County. Runners can crush the 5.9-mile run course, a fast, flat “Best of Lyons” tour, that integrates singletrack trails, red rock canyon, and gravel paths. Everybody gets luxury aid stations with real food and hydration, a hot meal and a cold beer at the finish line at LaVern Johnson Park, along with a killer post-ride party with great music, a fire pit, and a massive raffle. 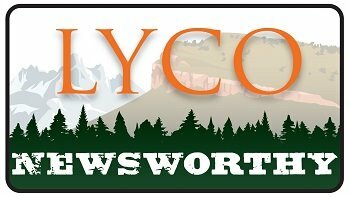 Lyons residents can use promotional code: LYONSLOCAL25 for a 25% discount off registration! 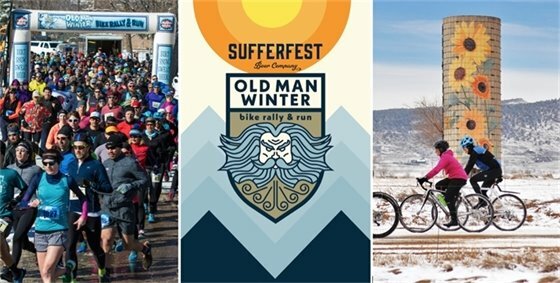 New this year, the Old Man Winter starting line and post-race festivities will be held in LaVern Johnson Park. Event and participant parking will also be in LaVern Johnson Park, so parking availability will be very limited on February 10. Park visitors are advised to plan accordingly. Each bike course includes routes along US-66, N. 75th St., and county roads southeast of Lyons. The run course routes along Railroad Ave., down 2nd Ave. to Red Gulch Rd, and eventually Old S. St. Vrain Rd. Traffic may be delayed around these areas. Neils began monitoring wildlife at age five by tying dental floss across animal trails. Fourteen years ago he was face-bumped by a large mountain lion. Since then he’s been devoted to capturing wild footage of these majestic & mysterious predators. 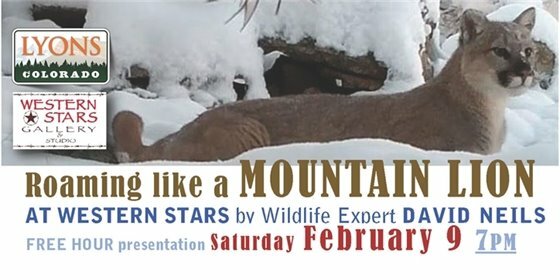 He's bringing this Wild Mountain Lion Footage to Lyons in a FREE hour presentation (w/ Q&A) at Western Stars - cosponsored by Western Stars & Town of Lyons.